TMT’s Matthew Semper returns to the ring with big win. Veteran Tiger Muay Thai & MMA Phuket fighter, Matthew Semper, returned to the ring last night after a painstaking recovery. A well-placed knee from his previous opponent left the striker with a cracked sternum that sidelined the Bronx born fighter for two months. 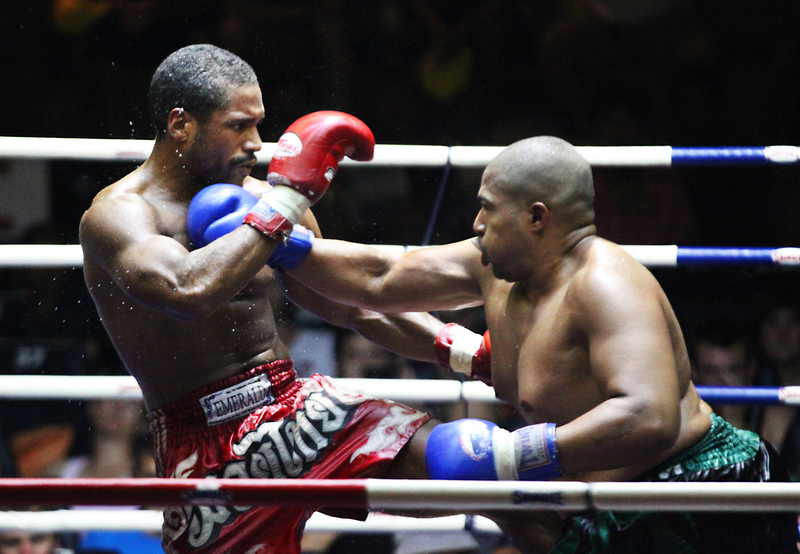 After a grueling pre-fight training schedule, Semper’s in-ring return was a return to form, imposing his will on his opponent with constant pressure—and massive right hooks. It was one of those hooks that sent his opponent Zudan of France, crashing to the canvas mid-way through the fourth round. Zudan beat the count but Semper had enough points in the bag for the victory at the conclusion of the fifth round. An impressive ‘comeback’ fight for New Yorker, Matt who exchange the ring for the octagon next month in China—in what will be his Mixed Martial Arts debut.